The word ‘negragada’ confused me – translated directly to English on google translate, it translates as ‘neglected’, however when I look for a Portuguese definition it returns ‘hateful, hard work (as in, causes exhaustion), repulsive, negligible’. To be honest, I’m not sure what it means in this context. This lecture by Dr Greg Downey also explores the subject. After I registered for free, I was allowed to download it for free. (no longer available – 2018) Here is the copy I downloaded. In the last century, capoeira featured strongly in Rio’s life. Groups of poor and/or black men carrying knives and blades, crossed its streets. As did lone, but equally feared, individuals, who knew efficient fighting moves, that they passed on to others as ‘capoeira’. These individuals, known as ‘capoeiras’ were an integral part of Rio’s street life, along with harlots, prostitutes, destitutes, vagabonds, bohemians, dockers and policemen. Page 12 has a reference list worth checking out for further reading. Capoeira has been studied in great depth and by a great many people and interest in the subject has grown exponentially in the last 100 years. This has created many interpretations of its origins and history, making difficult to reach a consensus. * Folklorists in the 20s and 30s the nationalist and modernist ideology caused a profound change in how popular culture was seen by the elite. Capoeira featured heavily in this change of perspective. Capoeira was legalized in 1940. Manuel Raymundo Querino, a slave descedent with no academic training, who lived in Bahia. He fought in the war with Paraguay. His observation of capoeira was interested in its cultural aspect, rather than the physical, which many of his contemporaries focused on. His vision marks the start of this new era in capoeira chronicling: the cultural, folkloric study. Capoeira wasn’t as heavily persecuted by the police in Salvador and Recife as it was in Rio. This transformed these two cities into sanctuaries for traditional capoeira. Edison Carneiro, Luis Camara Cascudo (investigates possible origins of capoeira in ‘Folclore do Brasil’) and Roberto Freire are amongst the most notable writers of the subject during this period. Waldeloir Rego publishes in 1968 what is seen as a syntheses of all that has been written in the subject until then. * New Historiography, towards the end of the 20th century, historians and social scientists focus on the subject. Adolfo Moraes de Los Rios Filho is the first historian to suggest capoeira’s origin as a result of slavery in an urban setting. It was only in the 70s that antropologists and historians cast their curious eyes on the subject. The 1990s saw a big number of thesis and research articles in the area by academics. Section on the various meanings of ‘Capoeira’ (1) a bird Odontophorus capueira (? ), 2) lazy country boy, 3) a clearing in the forest – capão, 4) route used by slave fugitives 5) capu – video by the author, a basket carried by slaves)… A MUST READ for etymologists. Followed by a few words on N’Golo, the South Angolan Zebra Dance, first registered in 1960 by Neves de Souza, and Bassula, a fisherman’s fight from Luanda. The first decades of the 19th century in the city of Rio (then the capital of Brazil) were defined by the ‘terror of capoeira’. Generally identified as slaves carrying sharp weapons, or in groups known as ‘maltas’. Around mid century capoeira was linked to the slave condition and of African origin. The documentation for this era consists of police records when capoeiras were arrested for various reasons and heavily punished. Calabouço = prison where arrested capoeiras were sent to. An identity was observed amongst the people arrested, such as clothing and ribbons of different colours. The second half of the century saw the rise of Nagôas (white ribbon) and Guayamus (red ribbon). Each Malta dominated a different area of the city. From 1824 the punishments of slaves arrested for capoeira offences became harsher. As well as hundreds of lashes, the slave would be sent to Dique da Ilha das cobras for up to three months, where the prisoner was forced into hard labour. Many worked in building the Tijuca road, in the suburb. Whistling was a distinctive cultural aspect of the capoeira, used as a warning, or identifier. This was noted in the police records as one of the reasons for arrest. Singing and drumming could also result in arrest. Carrying a drum could result in arrest. Although capoeira was a form of resistance, its violence was also directed internally, as a form of establishing hierarchy and dealing with the turbulence in the streets. Capoeira in the beginning of the 19th century was more than a form of slave resistance, it was a group identity. A decisive instrument in internal conflicts. An escape valve from the misery of slavery. The fictional part of the book concerns itself with a young lad from the interior of the country, who, upon arriving in the big city ends up falling pray to its vices and cruelty. White: Nagôas colour, close to the Africans: purity, happiness, Oxala‘s colour. Close connection to Africa/Bahia. Semi-rural, outskirts of the city. 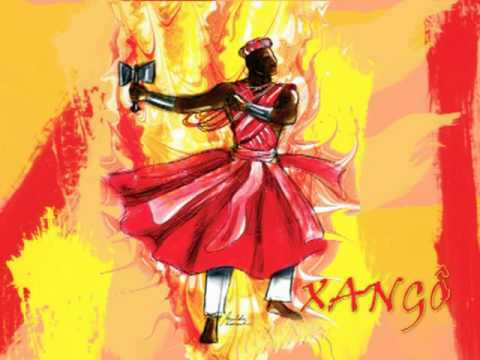 Red: Guayamus colour, close to the native Indians (and Portuguese), urucu used for painting, Xangô’s colour. Close connection to criolo’s, and slaves born in Brazil. Urban. Guayamus occupied the central zone of the city (also called ‘old city), the most densely populated areas. Freguesia and Santa Rita. Dock area, tenements = cortiços. Their area extends from Praca 15 until the natural limit of Campo de Santana. Nagôas occupied the surrounding area: Gloria and Lapa, Campo de Santana. A hypothesis for the rivalry between the two boils down to the status of African born slaves, in the service of Portuguese, and the native slave of the Brazilian royalty/nobility. Native slaves were thought of as having more privileges and being superior. The separation between native born slaves and African slaves is thought of as being crucial in creating the internal rivalry. The old and effective ‘divide and conquer’. But that is not to say that things were ever that simple, and the slaves (or non-slaves) of different origins couldn’t be part of either malta. Traditionally the surrounding areas of Rio were occupied by the ‘New Africans’, Africans who recently arrived. They were then ‘prepared’ for the semi open regimen of the city. There follows various accounts of fights and incidents between the maltas. Other accounts about malta members taking part in religious, political & popular celebrations. Sometimes peacefully, sometimes not. They were an integral part of Rio’s life. The author points out that one of the most important aspect of this culture constructed by the maltas was the ritualization of conflict. The use of the term ‘fortress’ for taverns indicates these were meeting points for conflict, nervous places in the area’s geography, where something could always happen. These conflicts happened during holidays and celebrations (unlike other worker movements, i.e. strikes, which happen during working hours). Note that the biggest victims of the maltas were the capoeira’s themselves. In this particular sense, maltas can be compared to modern gangs, with an extra dimension due to their involvement in politics. chefes de malta – chief, the most able, in that position until someone audacious took his place. The relationship between maltas and the military during the 2nd half of the 19th century was symbiotic. The capoeiras used the military to defend themselves against the police. The 1850s saw a great increase of non-slaves joining the capoeira way of life, as well as the regular presence of capoeiras in military institutions, mainly in the National Guard (Guarda Nacional). The average age range for members fully joining maltas was 15-20 years old. Here it is observed that to become a capoeira one must go through rites of passage, much like in many other social groups. In this case the transition is to go from ‘moleque’ to ‘caxinguelês’. To reach this level the young boy must follow the maltas in all its warring expeditions, carry their weapons and generally help out older members. Finally, one would have a navalha (blade) and a hat. From then on the teenager was a fully fledged member, able to take part in everything the malta did, and even to seek to be the malta boss (chefe de malta). P122 – Capoeira slang. P125 – Nagôas e Guayamus uniform illustrations P126-128 maps of the maltas zones. In the previous chapter we concluded that the Nagôas identified with the slave and African traditions of capoeira. Guayamus were connected to a native mixed origin, of free men, the Portuguese, the white poor from the interior and ‘criolos’ from all the provinces, which formed the vast majority of the working population. The Casa de Detenção (detention house) was one of the most important prisons in Rio during the second half of the 19th century. Due to the population expansion, the Regency government worked in implementing an European style system. The Casa de Correção e a Casa de Detenção were part of the same complex. The first was for prisoners serving time, the latter was for short detentions. Both were built in the shape of a cross, with its control point in the centre. The Calabouço was also a part of this complex, and was the place where slaves were sent for punishment. The Casa de Detenção opened on 17 September 1856. Other neighbourhoods had their own detention houses, such as Glória, Jacarepaguà and Santa Cruz. Anyone arrested after 18:00 was usually sent to the ‘Xadrez da Policia’. The prison complex of the Court was completed by police stations and the Depósito de Presos da Chefia de Policia, in Lavradio Street. The Detention House’s register, containing individual files on individual prisoners, is made up of many volumes, split into ‘slave’ and ‘free’ books. Generally they represent fragments of originals that have been lost. All of these volumes are kept in the Arquivo Público do Estado do Rio de Janeiro, Niterói. Through research for this PhD, 920 files for people arrested for capoeira offences were found. Despite it not being classed as a crime in the Empire’s penal code, it was a recurring cause for arrest at the time. These documents which trace the long forgotten, often tragic lives, are historically invaluable. The first capoeira slave to have his arrest registered came from Africa: Candido, around 30 years old, born in Haussà, slave of João J. Gonçalves, arrested in Lagoa’s neighbourhood, for ‘suspicion of practice of capoeira’. Does the description of his attire (white) relate to affiliation to the Nagôas? One thing that stands out is that a single slave had many owners, believed to be because slaves were hired, but more importantly, to avoid severe punishment, the slave would align himself with a distant, powerful owner, who would be upset to hear of mistreatment of his captive. The ‘senhor'(master) status weighed in heavily in how the slave related to and was treated by the rest of society. It is concluded that the start of the 1860s marked a period of transition of capoeira, from being a slave phenomena into an activity done not only by free men but also by immigrants. The control of vital parts of the city by slaves, through the maltas, is what marks the struggle between slaves and police from the 1820s onward. At the start of the 60s the generation learning capoeira was native, while a great part of the old mestres were of African tradition. How this reconciles with the demographics of the Nagôas and Guayamus is a challenge for historians. 1868 sees the register of only 12 capoeiras arrested and it shows the extent of a conflict that swept the streets of Rio of its capoeiras to ‘voluntarily’ fight for the nation (war with Paraguay 1864-1870). The 1870s see an increase in the register, and a new level in the amount of information. Thirty-seven entries from July 1870 to January 1871 paint a picture of the time that saw the return of the soldiers from the war, after five long years. The capital became the place many soldiers from all areas of the country returned to. It also became the destination of run away slaves, mercenaries, unemployed, explorers, deserters. At this point we can gain understanding of the maltas. There were five maltas in 1870, all around the centre of the city. There follows an analysis of the books and individuals origins, year by year. It is noted how varied the origin of the malta members is becoming. The 1880s are the richest in the register for capoeiras: the last decade of the monarchy and slavery. Jose Eça is someone worthy of note. From November 1876 to July 1882 he appears in the register 15 times, 4 for ‘capoeira’, 4 for ‘vagrancy’, 4 for ‘disorder’, 2 for assault and 1 for carrying a knife. In 1881, Jose Eça, age 20, WHITE, arrested for being a vagrant. Two months later he is arrested for assault, and is now described as BROWN (pardo: European-Amerindian-African descent). In September, arrested for possessing a knife, he’s described as ‘moreno’. On the 27th of March 1882, the white boatman Jose Eça is once again detained. This time wearing black trousers, white shirt, a dark jacket and a straw hat. Jose Eça becomes chefe de malta and is further detained. Another capoeira worthy of note: Francisco Firmo, 31 years of age, would he be ‘Firmo’ in Aluizio Azevedo’s ‘O Cortiço’? In 1888 the composition of the maltas is akin to a babel tower. Ironically, on the 14th of May, the day after the abolition of slavery, five ex-slaves were arrested while celebrating their freedom! 1890 was the most repressive year in all of the 19th century for the capoeiras. Hundreds were arrested and deported to the island of Fernando de Noronha. The elders, the most important malta bosses, the best capoeiras, were all taken our of their environment. Sampaio Ferraz, a police chief, was the man behind this attempt to dismantle the maltas. After banishing the biggest capoeira leaders, Sampaio went after the ‘capoeiras amadores’, the ones who weren’t affiliated to any maltas. These capoeiras usually came from other places, knew the kicks, but were isolated. At that time capoeira was a meeting point for imigrants from everywhere. These meeting places were also places of support, as well as the fighting. At the end of August things calm down and in 31/10/1890 sees the last arrest under Sampaio Ferraz. A discussion of parallels between the capoeiras and the fadistas, both in way of life, manner of dressing and predilection for the use of blades (navalha) during street fights. Another creature in Lisboas’s city fauna with parallels in Rio was the ‘Marialva’: bourgeoisie who frequented the ‘underworld’, or someone from the aristocracy who frequented the streets… An intersection between the dominant class and the under class. Marialvas were seen as rich vagrants. Juca Reis was the most notorious of the marialvas, and more on him later on. Portuguese immigration, to replace slave labour, was en masse from the 1850s. Ships that still carried slaves were also shared by Portuguese migrants, under the same conditions. Portuguese migrants (at first mostly from the Azures, then from the north), whose age was on average 13-17, had usually agreed to work for someone known to the captain, but were often forced into work on plantations in exchange for the boat fare, basically becoming slaves for a period of time, such as determined by the land owner, usually three to five years. Migrants refusing to comply and leaving before the contract was over were seen and treated as fugitives. The vast majority of the Portuguese teenagers who arrived in Rio between 1850-72 died after three years, victims of yellow fever, terrible living conditions and extremely long journeys to work. For many Portuguese migrants arriving in this period the whole experience wasn’t too dissimilar to senzalas regimen. The constant articles denouncing ‘White Slavery’ in the ‘Jornal do Comércio’ are a record of that. The Portuguese exodus into Rio coincides with the birth of the ‘cortiço’ (i.e. slums). The Portuguese migrants were highly concentrated in the most central areas of the city and this was to have profound implications in the city’s capoeira geography. There’s a stereotype of the Portuguese from the time, seen as someone with a big moustache, clogs, working as a cashier, a job arranged in Portugal, with an aversion to the nationals despite a sexual appetite for mulattas, a tenacity for work, hard worker but miserly, sober and economic, who sent his savings back home every month – dishonest in dealings with locals and only helping his compatriots. This stereotypical portrait fed the xenophobic hatred that occasionally exploded in the city. However data collected from the first two decades show a very different type of migrant. A report from the ‘Casa de Correção da Corte’ from 1872 shows that the Portuguese represented more than 50% of the people arrested, and in more superior numbers than the Brazilians. A large part of their crimes were against property and the reports show a worry about how this young population was (mal)adjusting to their new environment. If migrant adults had difficulties adjusting to the new country, imagine how this would affect pre-pubescents and adolescents, alone in the city and countryside. They became a threat to society. And so many found their way to the Maltas. The use of the blade in capoeira is seen as the biggest influence of the Portuguese to the game. It is proposed that the move into the mass use of the ‘navalha’ in capoeira (rather than any kind weapons, as was the case previously) was a result of the massive presence of the Portuguese in the Maltas. The relationship between the Portuguese and the black population in Rio was ambivalent, as they competed for jobs but also exchanged culture due to their physical proximity through work. Until the repression in 1890 the presence of the Portuguese in Maltas and capoeira gradually grew. In conclusion, the presence of the Portuguese in capoeira can be traced to the fact that from the 1850s, they replaced the gradually scarcer and more expensive slave labour in Rio’s urban environment. But the Portuguese didn’t only occupy themselves replacing slave labour. They were also present in the bourgeoisie bohemian elite. Juca de Reis was a strong man of good manners, from a rich family, who was often in trouble with the law and was well known for constant violent confrontations, attacks on ‘decadent’ women and even for suspected murder. But not by any means was he an isolated case. Towards the end of the monarchy, capoeira was a fever amongst the elite’s youth. It had become a passport to the underworld, the ultimate rebellion badge… Many in the media called for Juca’s expatriation back to Portugal. Many illustrious characters of that time had done time in capoeira, even Sampaio Ferraz, perhaps to help him fight the capoeiras he was seeking to destroy. We are reminded again of Plácido de Abreu Moraes, who wrote ‘Os Capoeiras’ (known as the first book about capoeira) and who was himself present in the prison records for being arrested a few times. It’s mentioned that his other book ‘Nagôas e Guayamus’ is still missing. Capoeira’s presence in the political arena in the last few decades of the Second Reign was a constant theme in the literally chronicles of the time. Years later, Viera Fazenda writes about Gato, a capoeira who was a ‘valiant tool in the electoral war’. Manuel Querino (Bahia) and Francisco Pereira de Costa (Pernambuco) confirm the presence of capoeiras in electoral disputes wasn’t restricted to Rio. Other authors think the presence of the ‘capoeira henchman’ can be initially dated back to 1828, aiding in the repression of Irish and German mercenaries, who were rebelling against maltreatment by the native officials. Various authors see this episode as a very important one in the city’s political history. These various analysis have in common a vision of capoeiras as the ‘street army’, used by the powers that be as unquestioning tools by both the liberals and conservatives, manipulated in exchange for certain immediate and mundane benefits. This text’s objective is to contest this simplistic view of the capoeira’s participation in politics and that their involvement was based in more than simply getting benefits; that the participants were actually keen to be involved in the political process. The Paraguay war saw the burden of the conflict fall on the shoulders of the Brazilian army, due to internal conflicts faced by the other allies: Uruguay and Argentina. The recruitment process was ferocious, in particular in Rio, and so any man in good health could be detained and forced to join. Even slaves who were simply working for their masters, walking in the streets, could be arbitrarily arrested and recruited to take part in the war. Additionally, the promise of liberation to those slaves who joined transformed military quarters into the final destination to runaway captives. Bahia also sent capoeiras to the front. The surviving soldiers of the 1864-1870 war became heroes and many of their lives was then marked by constant conflict once they returned to life in civilian society, some in a political context, but also street conflicts. The war politicised many of its participants, who upon their return wanted to effect change in society. The ‘mestiço’, ‘caboclo’ and ex-slaves who until 1865 were seen as inferior, started to be respected and admired by the ruling classes, and seen as symbols of nationality. However, for the Court residents the presence of large numbers of ex-soldiers in its streets was disquieting and generated conflict. Ex-slaves, criminals and vagrants now walked the streets wearing uniforms and medals, which brought up previous conflicts with ex-masters and so on. The first few months of 1870 saw a resurgence of the maltas not seen since the 1840s. Also at that time, important malta leaders were assassinated, possibly as a consequence of the struggle for leadership upon the return of capoeiras from the war. The mass of soldiers returning from war created an explosive situation for the government. The broken promises to the soldiers, of land/housing, threatened a rebellion. A parallel can be drawn here with the American Civil War and the black soldiers who took part in it, and a new era of politicisation in the South. NOTE: At this stage capoeira itself was not illegal in the Penal Code, only its physical consequences (assault, murder). 1890 was the year that marked legal criminalisation of capoeira itself. The war represented an expectation of recognition and a better life which was rarely realised upon the soldiers return. ‘Flor da Gente’ (People’s Flower) was a malta dominating the areas of Freguesia and Gloria, born during the violently disputed 1872 election, this malta played a big part in the Conservatives’ victory. There follows pages describing the tensions between the Republicans and capoeiras, from 1873 until Brazil became a Republic, in 1889, with the capoeiras siding with the Conservative government in exchange for favours and political power. This isn’t to say that only the Convervatives used capoeiras for protection and intimidation, however it is argued that the way this was done with the Conservatives was unique. The Conservatives were the most successful in utilising the maltas for its political means. This resulted in many articles on newspapers complaining about capoeiras… Until the 3rd of January, 1878, when the Liberals returned to power, after nearly 10 years. The Liberals wanted to implement electoral reform, the ‘Direct Election’, because the old system was open to abuse, via favouritism. However the new system also restricted who had the right the vote, excluding, amongst others, slaves. The Liberals also wanted revenge against the capoeiras who had intimidated them in previous elections, and others, to gain votes. The new police chief, Augusto Pereira de Mattos, declared that anyone arrested could NOT speak to their lawyers prior to interrogation, thus removing the protection ring around the capoeiras given by the Conservatives. There followed a large number of arrests of capoeiras who served the Conservatives. However, after a while members of the Liberal party started to receive threats and attacks, mainly in neighbourhoods controlled by the Conservatives. The maltas’ control of the streets continued for another 12 years, until Sampaio Ferraz came into the scene and sent many capoeiras to Fernando de Noronha prison, effectively dismantling the maltas, as seen in the next chapter. The first few days of the 1880s were marked by mayhem and riots in Rio. Citizens, furious with a new tax in urban transport, went on the rampage, destroying trams, pulling out tracks and confronting the police. This battle lasted for three days, and it’s known as ‘A Revolta do Vintém’. This historical moment brought to the fore the urban mass as a decisive piece in the parliamentary game. This ‘street politics’ wasn’t something entirely new. At least since 1872 the urban population had a decisive place in the court’s partisan conflicts. The literati of the Belle Epoque affirm that capoeiras supported Liberals and Conservatives. The capoeiras were part of a ‘market of violence’ where either group was capable of recruiting them, depending on who could pay the most – and so it follows that whoever was in power at a certain time had more chances of canvassing “services” offered by the maltas. However, in reality, what we see is a radicalization of the conflict between the liberals and maltas members when Liberals were in power. There follows accounts of conflicts between Liberals and maltas 1879 and 1880. We can now introduce a key concept for the understanding of the political scenario in the 1880s: ‘Partido Capoeira’ (Capoeira Party). The expression was pinched from an article in the ‘Gazeta de Noticias’. This party isn’t a specific group, with official membership. It’s a method, a way of doing politics, street politics, as a direct opposite to the enclosed cabinet politics. So its first characteristic is that it’s of the streets, and its second was its autonomy. Unlike within the rural context, where there was a strong connection between a malta and its patron, in the urban setting this connection was loose and could be cut suddenly if it suited the maltas’ interests. Members of maltas and the political elite were intertwined and the capoeira’s language was influenced by this, such that ordinary language was mixed with Latin in capoeira prose. This closeness with politicians was not unique and extended to the police. One example would be of a capoeira being chased by the police in one neighbourhood then being protected by the local police once he reached his own neighbourhood. The strongest giveaway of this relationship was the existence of a group named ‘Corpo de Secretas’ (Secret Body) which was a type of clandestine police that relayed information to the highest institutional levels. On many occasions the newspapers denounced this body as being formed exclusively by capoeiras who were recruited in prisons and got their freedom in exchange for services that the police itself couldn’t legally provide. The relationship between the capoeira maltas and the abolitionist movement was mixed. While some groups supported the movement, others were opposed to it to the point of threatening political leaders and disturbing gatherings. The first conflict between the abolitionists and capoeiras took place on the 5th of January 1885, not by coincidence, on the same day Parliamentary election results were being counted. A group coming from Uruguaina Street, invaded ‘Redação da Tarde’, a newspaper, attacked its staff in an attempt to destroy their typographic equipment. They managed to resist and hold them off until the police arrive and they were dispersed. José do Patrocinio, the editor, believed this was a manoeuvre by the conservatives to deter the tide of the idea of emancipation. Other newspapers saw the events differently, some reporting it to be a fight between two maltas: Campo de Santana (made up of youths who sold papers) and the one controlling the Largo de Santa Rita. This conflict spilled into the newspaper’s office, the last refuge for the youths from Campo de Santana. The return of the conservatives into power, in 1885, brought to the forefront the capoeira’s political activities once again. The new chief of cabinet was heavily committed to maintaining the slave institution. Under the new police chief, Coelho Bastos, capoeira came to be an integral part of police structure. 1887 saw many severe conflicts between abolitionists and conservatives. It is strange to think that capoeiras would be against the abolitionists, but capoeiras have been heavily linked to the Conservative party. Abolition caused a lot of division between the maltas, and we believe this division originated in the days when free men joined capoeira (See Chapter 2). On one side ‘Grupo Rio Branco’ was for emancipation, on the other, ‘Cotegipe’ was firmly determined to keep the status quo. In the evening of 27 of February 1888 a marine, Lieutenant Captain Antônio José de Leite Lobo was arrested. Drunk, the official was thrown in a dungeon after being beaten up by the police. When the news reached the marine’s uncle, Lieutenant Colonel Luiz de Beaureparie-Rohan went to the station to pick his nephew up. When news reached the marines headquarters it triggered a revolt. Lead by Eduardo Waldenkolk, who already had issues with the powers that be, many marines, helped by capoeiras, attacked police stations and government service squares in the city. This crisis led to end of the Cotegipe era, and consequently the institution of slavery. The Black Guard, according to various sources, appeared under the shadow of João Alfredo Correia de Oliveira, the Conservative’s chairman of the council of ministers, who had been involved in abolitionism and various other political events. The Black Guard’s aim was to gather the freed people and to create a militia to defend the monarchy. Osvaldo Orico, for example, sees the Guard as an expression of gratitude by the freed slaves towards Princess Isabel and as a group with primitive rituals of servitude and fanaticism. On the other hand, Raimundo Magalhães Júnior in a more recent work, sees the Black Guard as a result of the struggles for abolition and the antagonism with the Republicans, who denied support to the campaign for fear of losing farmer’s support. Magalhães argues that the Guard was a continuity of the political action of Patrocinio, which sought to politically represent black people. Many other historians and researchers discuss and posit its meaning and purpose. The Black Guard was the capoeira’s political episode most focused on and discussed by historians. The proximity to the time of Abolition and declaration of the Republic open the door for very diverse interpretations. We can conclude that the Black Guard can’t be understood in isolation, or only linked to these two macro events in Brazilian History. The Black Guard is a chapter of a larger saga. A story that dominated the political life in the court for at least 20 years. A tradition which has a direct link to the ‘Flor da Gente’ and the capoeiras in the Conservative Party. The Conservative party was also divided with regards to the abolition, with some in favour and others against. And then the Republicans were split with those linked to land owners (who were against abolition) in São Paulo – these directed the party nationally and those who wanted to slowly grant freedom to all slaves. Many revolts were taking place also, lead by people who had been freed after the Paraguai war, for example, such as Vespasiano was believed to be. Sampaio Ferraz’s campaign didn’t bring an end to henchmen politics in the city of Rio. Thirty years later, the writer Lima Barreto protested against unpleasant people being responsible for the presidential elections security in the centre of Rio. The thought process behind those who formed the Capoeira Party points to a very specific experience. An awakening to a new role in society, like the newly arrived soldiers after the Paraguay war. An eagerness to take part in a process that directly affects their lives, as with the members in ‘Flor da Gente’. It’s an attempt to have an influence in the higher levels of power, like the Black Guard. Electoral violence wasn’t invented by the capoeiras. It was there since colonial times, and it’s there to this day. The Republican Sampaio Ferraz – the legendary “iron goatee beard” – became Chief of Police of the Republic in 1889. He had vowed to exterminate capoeiras and their fights after witnessing a violent dispute between two capoeira maltas (Nagôas and Guayamus) that left an old man with a sliced back, a boy with a cut lip and a pregnant woman with deep wounds to her belly. He was a public prosecutor, prior to this post, who successfully sent a powerful capoeira, with a good lawyer and the support of a powerful politician, to prison with a maximum penalty. Within months of taking the job the most feared capoeira bosses had been sent to the Fernando de Noronha island – with no set time for release. Since the first half of the 19th Century, with the arrival of the Portuguese Royal Family in Rio(1808) the fundamental duty of the Police Royal Guard was to control the movement of the slave population. Capoeira was seen as slave criminal behaviour and its oppression was seen as a key form of keeping them under control. Capoeira then was heavily oppressed. When the traffic of slaves was abolished in 1850 some room for the capoeiras to establish some ground and power was given when it was useful to the elites – but also it was taken away when it was felt it was becoming too powerful and dangerous. And so waves of oppression came and went. For the first half of the century capoeira was seen as an exclusively slave practice, but from 1850 the profile of the participants started to change due to the deep transformations taking place in the city. This decade also saw changes in the Court’s police. The National Guard, previously controlled by big rural and urban land owners, starts to be under more centralised control. The construction of the first penitentiary in the country in 1955 reflects the national authority efforts to reflect European and American judiciary structures. The involvement of free men, immigrants, working people and vagrants in the practice meant they couldn’t be punished and deterred in the traditional, violent way, slaves had been deterred and so new ways of stopping it had to be developed, hence the different attempts at oppression. In the same report Siqueira details the oppressive measures adopted, such as 59 capoeiras being sent to dungeons, which according to him, resulted in a considerable drop in crime. He also makes clear that capoeira in the 1850s was not a slave issue, on the contrary, an activity that involved free men of all origins, but of ‘lower classes’, and for that very reason it represented an even bigger threat to social order. He states that stopping slaves from practising it was much easier than stopping free men – as they would recruit new people and infuse then with enthusiasm. The biggest challenge Siqueira had to overcome were the levels of impunity that the malta members enjoyed. Many enlisted in the National Guard which rendered them somewhat immune to police action. Siqueira’s ruse to deal with capoeiras in the National Guard without breaking the law was to send them to Cobra’s island, where they were employed in forced labour without end in sight. Archives from the time are full of refusals by the Chief of Police to release National Guard members accused of malta involvement. Siqueira wasn’t the first chief of police to try and contain the capoeiras but he was the prototype for a new police elite the Court would become familiar with for the next 30 years. He had deep knowledge of the marginalised population, its language and values. He was also astute enough not to clash head on with the contradictory interests afforded by his position. He had to be alert to slave rebellions, he had to keep a close eye on immigrants, especially the Portuguese, who poured in their hundreds in the city’s ports, who quickly entered police archives as victims or accused. Another issue came to be during Siqueira’s administration: the appearance of the ‘cortiços’ (slum tenements), where the poorest working classes of the city piled in. They occupied a central area and contained a large, restless, population of Africans, immigrants, freed slaves, etc. In a fast growing city with an underemployed population, the job of the chief of police was becoming more complex and difficult. Siqueira created a style that was followed by his successors and helped forge an image of a heroic man who frees the city of the scourge of the capoeiras. This image would be elevated to its apex with Sampaio Ferraz, 40 years later. The five years prior to the Paraguay war were relatively quiet in Rio. The cessation of the clandestine influx of Africans into the country had reduced the fear of rebellion in the urban centre. Every month hundreds of captives were taken to the interior to the labour insatiable coffee farms. There was hardly anything cited in the official reports by Police Chiefs with regards to capoeira in those years. However, prison records show signs of regular monitoring and imprisonment. During these years the authorities attention was directed to other issues, such as the spread of the ‘cortiços’. The invasion of Mato Grosso by Paraguay in 1864 quickly ended the apathy. The court needed soldiers – Paraguay had eighty thousand men. Men were forcibly recruited and recruitment was seen as an easy way to rid society of vagrants without compromising liberal ideals. Capoeiras were the favourite target for recruitment. The police columns on newspapers were filled with arrests for capoeira, the levels of which not seen since the 50s. Curiously a large number of men joined ‘voluntarily’ to ‘serve the country’. Is it possible these had been forcibly recruited and official documents hide the truth? Some newspapers questioned this. The presence of capoeiras in the war was a success. It greatly aided victory against Paraguay AND if freed Rio from ‘dangerous elements’ who constantly challenged the police. The end of the war in March 1870 was greeted with great enthusiasm. There were many days of partying in court, in honour of the national heroes who managed to make their way back. A new era of issues was about to begin. The first two years of the 1870s were marked by the return of the capoeiras from the war, determined to reclaim their place. Soldiers and low ranking military personnel challenged the police and attacked them.